My children get so excited when they get to spend some down time enjoying some of their favorite apps on the iPad. Sometimes we even make it a family event, whether we are watching a classic movie together or reading a favorite story book, our iPad has an app for everyone to enjoy. 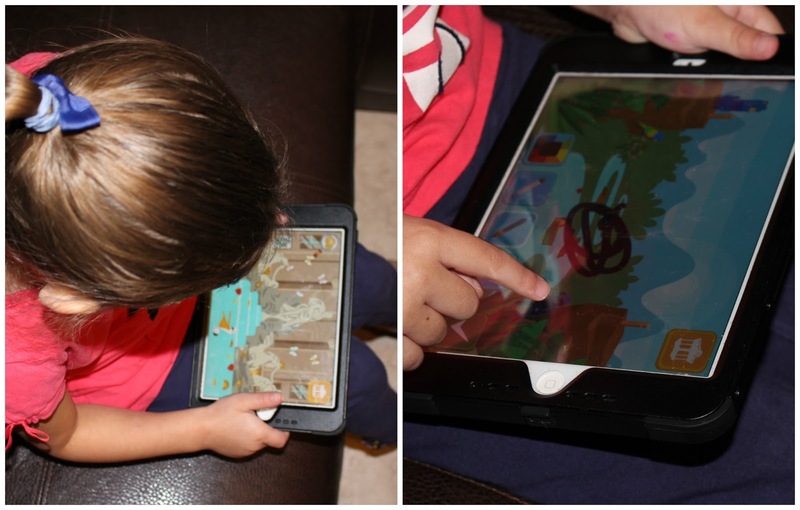 I was recently introduced to an educational app called Travel Playtime by Pacca Aplaca, I couldn't wait to download it on iTunes and let my children play and learn! Travel Playtime features 50 fun and colorful early learning activities including jigsaw puzzles, dot-to-dot, spot the difference, building blocks, hide and seek, I spy, drawing and more! With the Travel Playtime app, your little one is introduced to cultural and historical settings from all over the world. It features 23 different countries and their flags, along with authentic music from different cultures. From piecing together Mount Fuji to searching in Time Square, your child will love playing along with the adorable Pacca Alpaca! My daughter has enjoyed playing new games and going on fun adventures, she's even learned to say a few new words in a different language. It didn't take her very long to catch on, she's a fast learner and has really taken a liking to Travel Playtime. Pacca Aplaca Travel Playtime lights up my children's faces and fills the room with laughter, I love knowing that my children are learning while playing, as a mom it makes me so happy to see them happy! They even have a section for grown ups within the app, Travel Playtime promises to be safe, trustworthy, and family friendly. This app gets a two thumbs up from me, we are excited to have this on our favorites app list! So what do you think? Wouldn't your little one enjoy this app? Ready to see Travel Playtime in action? Check out the video below! Connect: Be sure to stay connected with Pacca Aplaca on Facebook and Twitter! Buy it: Purchase Pacca Aplaca Travel Playtime on iTunes, Google Play & Amazon!